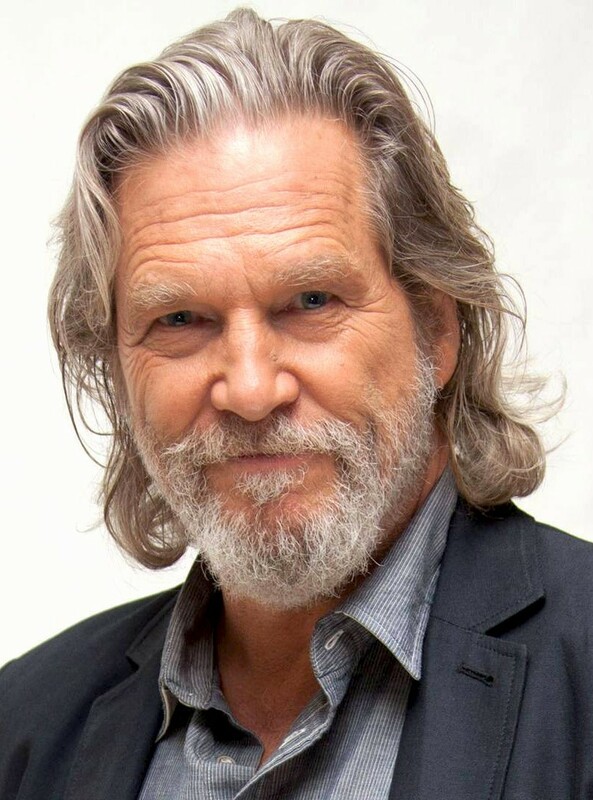 Jeff Bridges Interview: "I’m Thriving and Led by Love....Get on Board with Loving This Planet"
Actor, singer and producer Jeff Bridges is the son of legendary film, stage and television actor Lloyd Bridges. His mother, Dorothy, was an actress and a poet and older brother, Beau, is also an actor and director. Bridges won the Academy Award for Best Actor for the 2009 film Crazy Heart and earned Academy Award nominations for his roles in six other films. In 1998, he starred as what is arguably his most famous role, The Dude, in the Coen brothers’ film The Big Lebowski. Other film appearances include The Last Picture Show, Fat City, The Iceman Cometh, Thunderbolt and Lightfoot, Tron, Starman, The Fisher King, Fearless, The Contender, Seabiscuit, Iron Man, The Men Who Stare at Goats, Tron: Legacy, The Only Living Boy in New York and Only the Brave, just to name a very few. Bridges and director Susan Kucera bring a fresh perspective on being human in the award-winning documentary Living in the Future’s Past, a beautifully photographed tour de force that explores who we are, where we come from, how we think and why we do the things we do. Bridges shares the screen with profound thinkers, scientists and a dazzling array of the Earth’s creatures to reveal profound concepts about ourselves and our future in ways that have never been presented quite like this on film before. Living in the Future’s Past opens in select theaters on October 5 and nationwide on October 9, 2018. Melissa Parker (Smashing Interviews Magazine): Jeff, what inspired you to become involved with Living in the Future’s Past? Jeff Bridges: Well, I love our planet, you know. I want to keep it beautiful for myself, my kids and my grandkids. I was asked to participate in this film, and it was important for me that it was something fresh. I didn’t want to make another film about how frightening our situation is, like it’s always too late to do anything about it, and we’re already screwed. I didn’t want to participate in something like that. I thought it was a little too early to take that position. I think cynicism is something that I battle within myself, just throwing up my hands thinking there’s nothing to be done. But I got with Susan Kucera, our director and cinematographer who made all those beautiful images, and we brainstormed about what kind of film we wanted to make. We were curious as to why our response to what the scientists are telling us is so slow to respond. So we decided, “Let’s take a different approach. Let’s look into our behavior and why we’ve created this situation that we’ve created and what we can do about it.” So that new angle was very attractive to me. I have a lot of friends who are speakers in the movie such as Dan Goleman and Mark Plotkin. These are guys that I have talked with and became friends with years before. I thought this was a good chance for them to get their word out as well. Melissa Parker (Smashing Interviews Magazine): Are these environmental experts trying to convince the science deniers out there that climate change is real? Jeff Bridges: Yeah, I don’t know. When you say that word “convince,” that kind of sticks in my craw. Melissa Parker (Smashing Interviews Magazine): They are stating facts supported by evidence? Jeff Bridges: Yeah. You know, one of my heroes is Bucky Fuller. He had an interesting thing that he would say about when you want to change something. He said to not go right up against that thing you want to change but come up with something new that makes that thing you want to change obsolete. I kind of go along with that kind of thinking. Hopefully, this will inspire people to take action in their own particular ways. I’m an actor. I make movies. I talk with the media like I’m talking to you right now. So this is how I participate. All those speakers, philosophers and scientists in the film are doing it their way. I think each person can look at it in a very personal way and how they might not just make a small contribution that scratches their guilt itch but really engage in something, get on board with other organizations that are heading in the direction that you want to go. You know about Bucky Fuller and his trimtab idea? Well, basically what it is, on these big tankers, they found it very difficult, and it took up too much energy for a giant rudder to move a giant ship. It took too much energy to turn that rudder, so they came up with a brilliant, simple idea of putting a little tiny rudder on the big rudder. That little rudder is called a trimtab, and the trimtab turns the big rudder, and the big rudder turns the ship. Bucky Fuller says that this is a great metaphor for how the individual affects society, that we are all, in fact, trimtabs. That’s what Bucky has engraved on his tombstone, “Call me trimtab.” That’s connected to others who may be more powerful than we are and have more influence. But we can join forces, and in that simple act of saying, “Call me a trimtab,” we can make a huge difference. Melissa Parker (Smashing Interviews Magazine): About the film, you also say that, “We go beyond politics and borders and boundaries.” So is that a nod to the current administration that doesn’t seem to be making environmental concerns a top priority? Jeff Bridges: Yeah. I think the way that’s affected me personally is, “Oh-oh, I’d better get on my horse and get heading in the direction the way I see it.” Right? So I’m looking at it as motivating me to get working with other like-minded individuals to create the kind of world that we want to create. I’m not throwing up my hands or that kind of thing. I’m using it as an encouragement to create the kind of world that I dream of. Melissa Parker (Smashing Interviews Magazine): Hoping that those in power will watch the film and take the message to heart? Jeff Bridges: Um-hum. Um-hum. What’s concerning to me is that we all want to be comfortable, not only human beings but every species. You look for comfort, and a lot of times that looks like maintaining the status quo, you know. But we also, as human beings, have the power to question our desires and have a longer view. I think that’s one of the things this film encourages to take a look at that and realize. Oil isn’t bad, but it’s this wonderful, toxic gift that we’re kind of using in a very capricious manner. My personal view is that we should be using that precious oil, which is not going to last forever, to create another energy system with the solar, wind and sea, all these different sources. We can be using that precious oil to make that transition. I wish we would start doing that. You know, I can imagine myself being in the oil business and being very fearful about wanting to change this status quo in some way. I would like to see them really included in this change and make it good for them as well somehow. Let them be in charge of this new form of energy. Melissa Parker (Smashing Interviews Magazine): What other causes are you passionate about, Jeff? Jeff Bridges: I’m very involved in ending hunger here in the United States, particularly childhood hunger. Certainly hunger affects all ages, but I think children are the least represented politically and don’t really have a voice. I think everybody can agree that we want our children strong and healthy. That makes for a stronger nation. Here in the United States, we currently have one in five of our kids struggling with food insecurity and don’t know where their next meal is coming from. That’s something that we can turn around. We know how to end childhood hunger. I’m the national spokesperson for an organization called Share Our Strength and their No Kid Hungry campaign. We’re mainly focusing on school breakfast after the bell. In communities where you’ve got kids who are struggling with hunger, they depend so much on their schools for nutrition. Often in these schools, it’s mandated that the kids can have a free or price-reduced breakfast, but they’ve got to come a half-hour early and eat in the cafeteria. A lot of these kids can’t make it there for one reason or another. One of the big reasons is the whole stigma of being a poor kid who doesn’t eat breakfast at home with his folks, that kind of thing. So a lot of kids would rather just go hungry. Of course, if you’re hungry in school and your stomach’s growling, and you’re not getting the calories going to your brain, you can’t study as well. We’re promoting a program of breakfast after the bell for all the kids eating breakfast there at school. You don’t have to eat breakfast, but it would be available to you. Rather than trying to change federal government policies, we’re working with state governments, governors and mayors, and letting them know that there’s over a billion dollars of federal funding that’s available to states, but they need to have these programs in place. If they’re not, then the money goes elsewhere. So we’ve been focusing on that and also summer meals because when school’s out so is their source of nutrition. So summer meals are very important, and they’re available all around. We developed a texting program where you text “food” to 877-877, and you can find out where these summer meals are in place. I made a documentary film a few years ago called A Place at the Table that I’m very pleased with, and I think, like Living in the Future’s Past, it hopefully will bring attention to a thing that really needs to be turned around. Melissa Parker (Smashing Interviews Magazine): What is the primary message you want viewers to take away from Living in the Future’s Past? Melissa Parker (Smashing Interviews Magazine): What kind of future do you want to see, and do you think that it would really be possible? Jeff Bridges: (laughs) It’s funny, but I don’t have a real sense of utopia or something like that. But I guess it’s a future where people, myself included, are waking up to the power of being alive and what we can do with our lives. One of the interesting things in this movie that I learned about was emergent behavior. All those birds and those schools of fish. Why are they moving like that without a leader? They’re just doing it. Of course, we human beings are doing that as well, and you don’t know exactly the shape it’s going to be. But I know I’m thriving and led by love. It’s not so much a fear thing but just love. I’m loving where I am, loving the planet, loving my children and all of my friends. That love just comes out in all different kinds of ways, and I want to encourage people to get on board. Get on board with loving this planet. Melissa Parker (Smashing Interviews Magazine): You have another new film out also in theaters. Jeff Bridges: Yeah. It’s called Bad Times at the El Royale. I had a good time making it. Melissa Parker (Smashing Interviews Magazine): Are you writing new music? Jeff Bridges: Yeah. I’m getting some more tunes together. I’m going to perform over at my friend Chris Pelonis’ club in Solvang, a little town here by Santa Barbara. We’re going to play, and that’s kind of what’s happening musically. Melissa Parker (Smashing Interviews Magazine): And there’s absolutely no chance at all you’ll ever run for political office? Jeff Bridges: I don’t think so. Only in the movies (laughs). © 2018 Smashing Interviews Magazine. All rights reserved. This material may not be published, broadcast, rewritten or redistributed without the express written consent of the publisher.